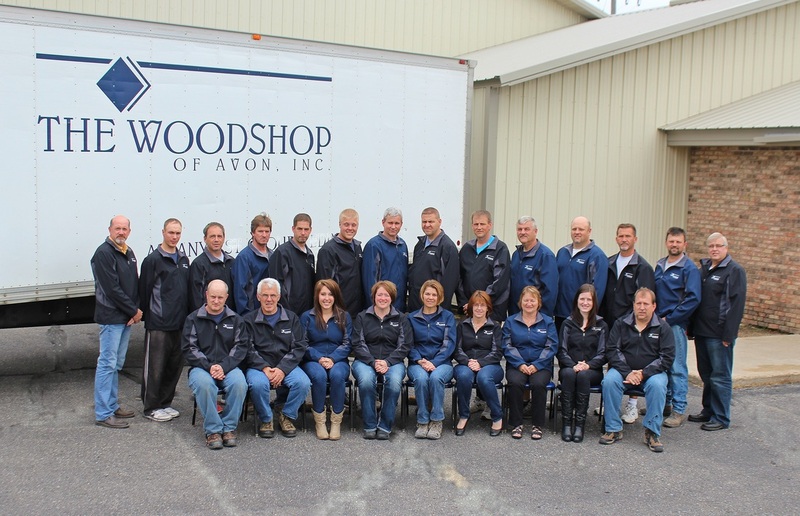 In 1981, The Woodshop of Avon was founded by John Harlander and Mark Caspers with humble beginnings in John's single stall garage. The company quickly outgrew the garage and set up shop in a larger facility in Avon, Minnesota. Over the years we have met the increasing demand for our cabinetry. By the time the company celebrated its 12th Anniversary, an additional office and showroom were added in Edina to better serve the demand in the market. 1995 marked the corporate headquarters move from Avon to the neighboring community of Albany, Minnesota. This move was necessary so that all operations, including manufacturing and finishing could be under one roof. The Woodshop of Avon's manufacturing and finishing departments, as well as, showroom and office space remain at this location today. In 2015, the Edina office and showroom closed and moved to a new location in Plymouth, MN. The new showroom address is 14248 23rd Ave. Plymouth, MN 55447. Stop by to meet with our sales team and take a look at the new showroom. We hope the new location will be convenient for all of our clients. The company, which began with two men and a dream, has grown to over 32 employees and 2 locations since its conception in 1981.